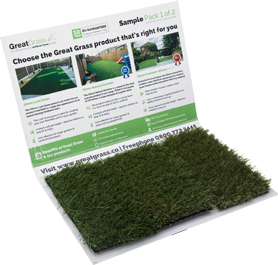 Here at Great Grass not only do we strive to provide world-class customer service, the best quality products at the most competitive prices but our artificial grass range makes a great addition to an office, provides a ‘wow factor’ at exhibitions and is perfectly manufactured to work with heavy traffic and use at events. Being the largest supplier in the UK of artificial grass; we have the facilities, know how and capabilities to supply for the largest and most prestigious events and functions; whether they be short term or permanent fixtures. Along with our fantastic range of quality artificial grass, we pride ourselves in world class customer service. Our exceptional service will begin from the moment you begin researching a viable soultion and products; right through to delivery, assistance with installation and post purchase care. We have been delighted to work with our clients who include the London Olympic 2012 venues, Silverstone racetrack, Chester racecourse, Hyde Park, Russia.Suchi.Park in Kensington Gardens, the Royal Docks Management Authority, as well as numerous schools, councils, NGOs throughout the UK and various international embassies. How do you differentiate yourself from the competition? Great Grass has the answer with artificial grass! Our products are so realistic that passing people will be amazed at its multiple uses. Artificial grass is used to provide a unique and striking surface for your event. Many business including us; at our Great Grass showroom, use artificial grass surfacing to create a fantastic, realistic outdoor environment; indoors. We believe artificial grass creates a more productive environments and encourages staff to enjoy their working area.